SPREAD THE WORD LIBRARY; Our purpose is to bring glory to God by teaching the truth of His Word, the Bible, and thus pointing people to Jesus Christ and to a deeper and more intimate relationship with the Lord. Our subjects include Theology, New Testaments, Old Testament, Christian Education, Greek & Hebrew Language, Marriage and the Family, Missions, Evangelism, Devotional, Leadership, Biographies, Christian living, Bible Dictionaries and Encyclopaedias, Concordances, Christology, Ecclesiology, Eschatology, Pneumatology, Soteriology, Church History, Christian Doctrine, Church Management, Counselling, Discipleship, Homiletics, Philosophy, The Whole Bible…… and all from Biblical perspective. — Books to be helpful for research and spiritual growth. 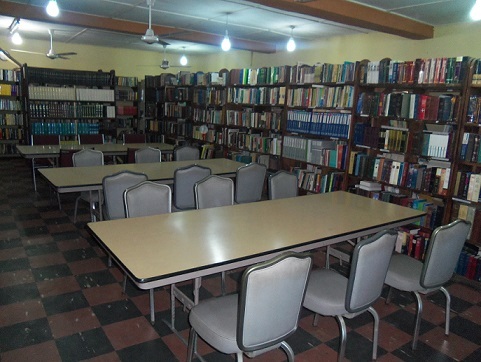 1) The library at Spread the Word is dynamically embedded in the learning objectives of the institution. The Library offers a broad range of materials for the general and specific educational needs of Individual. The Library is open for use freely. 2) The mission of the Library is to educate men and women of integrity. This will be accomplished by providing quality information resources and instructional services. 3) The library facilities exist to provide a space for quiet study and research. We encouraged people to collaborate on research projects, but must be mindful of students using the facilities for quiet study. 4) The library aims to develop a collection of resources. These needs are defined as the practical and scholarly topics of interest for ministry preparation. Individual should expect to discover resources that challenge their own ideas and should use discernment when analyzing the viewpoints. 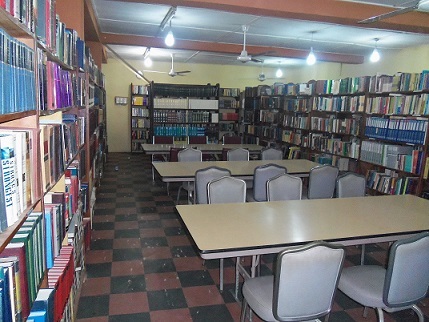 5) The Library staff members are to be treated in a manner that glorifies Christ. The same etiquette involved in interacting with faculty should be applied to approaching library staff. Individual are welcome to ask library staff for assistance. 6) Food is not permitted in the library. Drinks are permitted as long as they have a lid; cans, water bottles, and coffee mugs are permissible. Open drinking cups are not permitted. 7) Using cell phones will be asked to leave the library to make phone calls. Personal music devices are allowed on two conditions: the uses headphones and the volume does not disrupt the quiet study of his/her peers. 8) Loud conversation is not permitted in the library. While the library staff encourage group study, library users should be mindful of their peers when conversing with others.